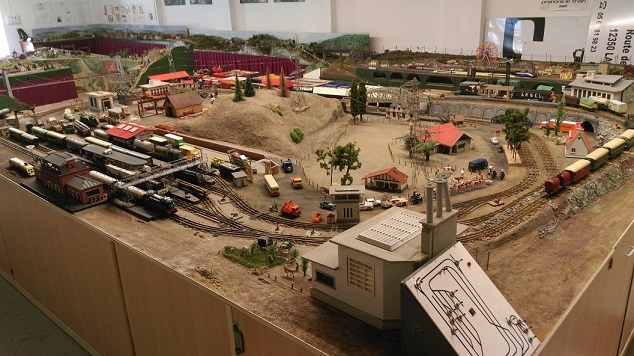 O-scale three-rail network with neat design and many all-metal cars and engines. It was given to the club by Mr. Troin who had installed it in his attic. The trains are controlled by an array camouflaged behind the electric transformer. The network operates in alternating current which imposes a reverser of sense on each motor.